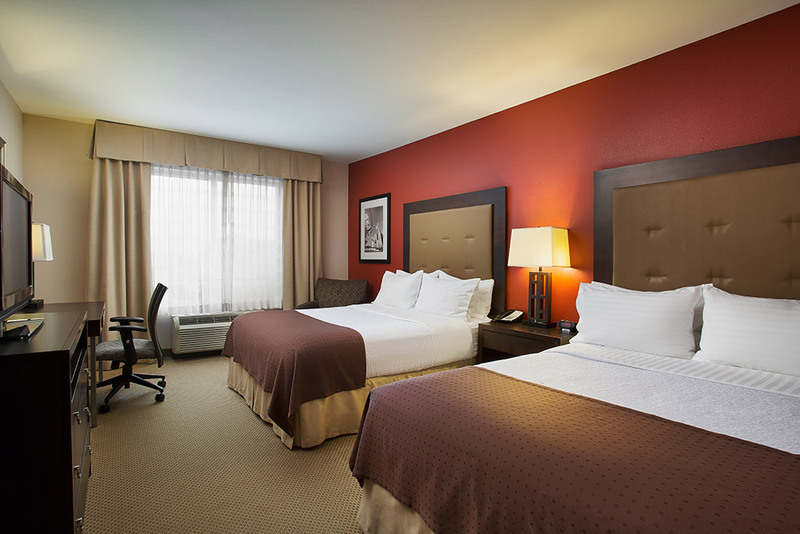 As a consistent Quality Assurance Award Winner and the only full-service hotel option at Midway Hotel Center, our hotel offers an on-site restaurant and sports bar, laundry service and free airport shuttle. Of course our rooms include those amenities you might find in most hotels (like mini-fridges, microwaves, free WiFi, and those precious little coffee makers) and while we're at it - light sleepers rejoice! We designed our rooms with you in mind, get some peace and quiet after your day and enjoy a good night's rest.